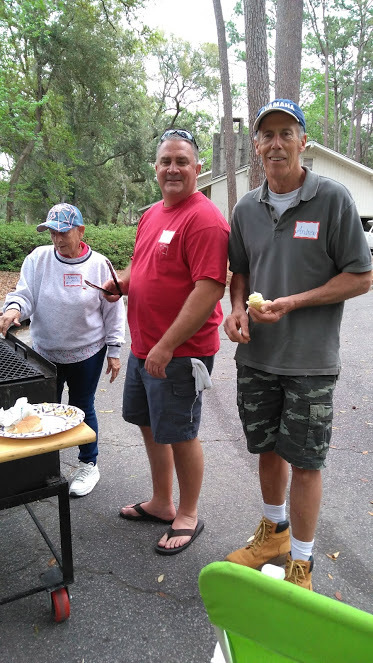 Fishing the fresh and saltwater lagoons in The Landings will be the focus of the Coastal Conservation Association (CCA) of Skidaway’s May meeting and seminar on Monday, May 13, at St. The Osprey chicks have arrived, and Mom, Dad, and babies are doing well. After 37 days of incubation, the first chick hatched on the night of April 12. Days later, two siblings arrived on April 14 and 16. 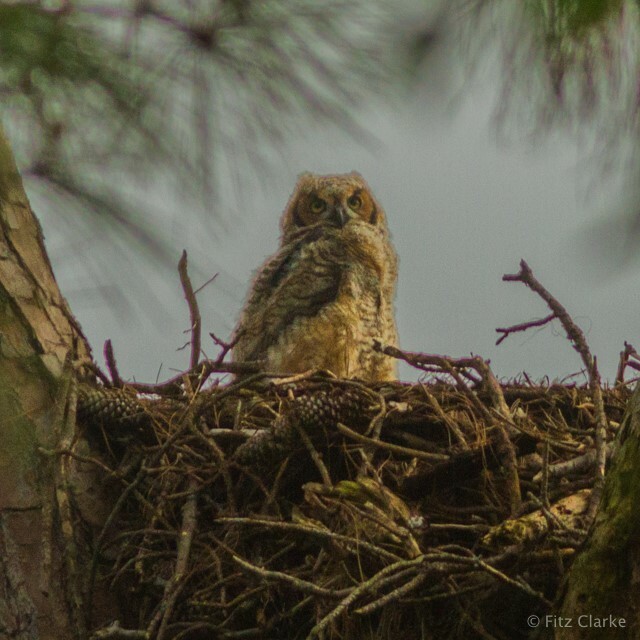 Great Horned Owl fledgling spotted at Landings Sparrow Field! On March 31, this ancient assemblage welcomed spring with a neighborhood barbecue in the Monastery Road West cul-de-sac on the long lagoon. On May 1, the Landings Chapter of Ariel Savannah Angel Partners (ASAP) will meet in the Library Room at Plantation Club at 8:30 a.m. for a breakfast meeting. The topic of discussion will be Anatomy of an Angel Investment, showing how to provide growth capital to transformative early stage ventures to help bring their technologies and innovations to market. ASAP is certified as an “ established Angel Group” by the Angel Capital Association (ACA), and has invested approximately $10 million in more than 35 companies since its founding in 2005. The Landings Dog Park will be closed for maintenance on Tuesday, April 16. During the closure, our landscape service provider, BrightView, will apply an insecticide treatment to the turf and perform routine maintenance in the Park. Please do not enter the Park on Tuesday, even if you do not see BrightView present as the insecticide needs to be watered-in and allowed to completely dry before reentry occurs. The Dog Park will reopen on Wednesday, April 17. We apologize for the inconvenience and appreciate your patience as we work to maintain our facilities. Learn more about the incidents Landings Security Officers have been responding to recently, including a vehicle accident and unfounded fire. Learn details about dredging in Landings Lagoons, Kids Fishing Lagoon Storage Shed (shown at left), Landings Way South Road Seam Concerns, AED installations, and more! The long-awaited restroom renovations at Landings Harbor Marina will begin this Saturday (April 13). Both the Men's and Women's restrooms, located next to the Harbor Store, will be renovated. Each restroom is estimated to take approximately two weeks to complete. 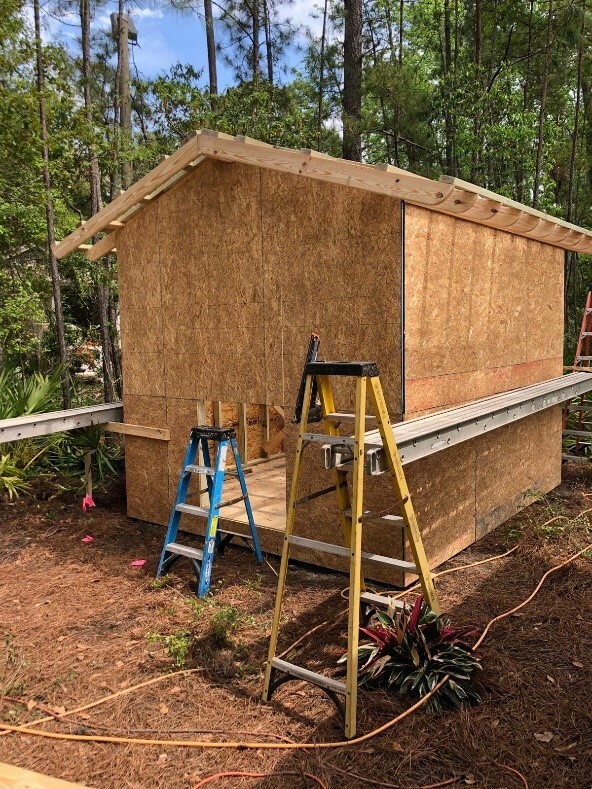 Work will be done on one restroom at a time, beginning with the Women's Restroom. While work is going on in the Women's Restroom, the Men's Restroom will be available as a unisex restroom.